Roberta (Robbie) Orlando, 62, longtime resident of Gray, passed away peacefully, Thursday March 29, 2018, surrounded by family and friends following a long battle with cancer. She was born in Bar Harbor, Maine on October 24, 1955 to parents Harley and Elaine Spurling. She graduated from Gray-New Gloucester High School in 1974. Just 12 years later on May 31, 1986 she was married at St. Gregory’s church, in Gray to Tony Orlando, with whom she went on to build a life and family for which they both were proud. Robbie wore various hats over the years. She began as a waitress at Cole Farms and then moved to a job selling office furniture at Discount Martin. She started working as a bookkeeper for Northern Data Systems where she was also an advocate and annual supporter for Maine Handicapped Skiing. It was after that; Robbie was able to be a stay-at-home Mom, something she had always wanted to try. 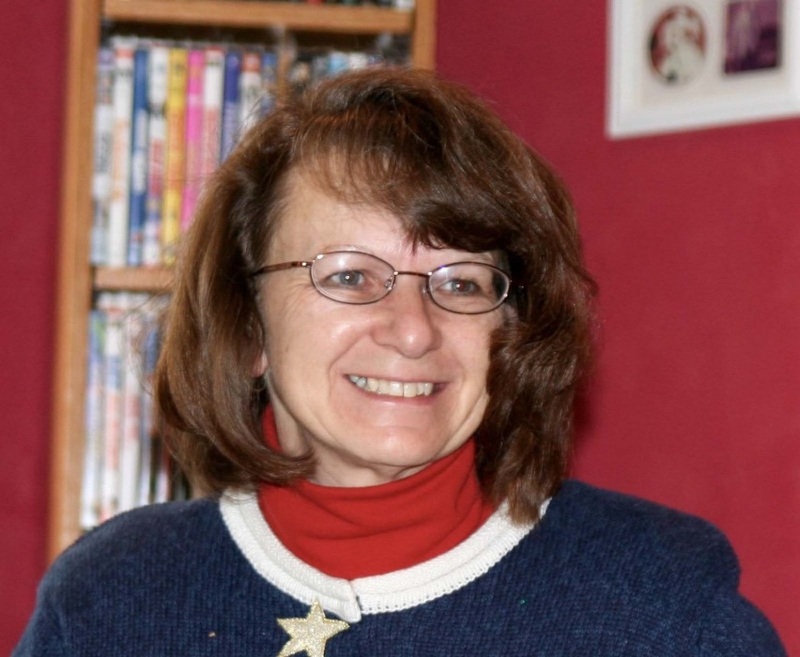 In her time at home, she became the Secretary for the Gray-New Gloucester Athletic Boosters, which involved one of her favorite activities, running the snack shack for sporting events. She did return to work before ending her career as a bookkeeper with the law office of Desmond and Rand. Robbie was a selfless and generous person. She did all she could for her family, her volunteer work with the athletic boosters allowed her to do one of her favorite things, that was to watch her son play sports, especially basketball. Her strong personality lent itself well to the volunteer work that she did and the success that followed. There is not a project or task that her kids brought home that she was not involved in, from costume making to float building, she was always happy to help. Though Robbie did not have numerous different hobbies taking pictures of everyone else was something she always found joy in. She never went anywhere without her camera and she took great pride in her photos. Aside from her ability to take beautiful pictures, Robbie was a fantastic cook and baker. Consistently, she would bake pies, cookies, and other desserts and deliver them around town to anyone who wanted a sweet treat; few things made her happier than to see someone smile when she brought them an apple or custard pie. Robbie is predeceased by her nephew James (Jimmy), father Harley, her sister Rosanne, and her brother Harley Jr. (Butch). She leaves behind loving husband Tony, her daughter Alicya and husband Dave and the absolute light of her life, her grandson Landyn. She also leaves behind, her son Kyle and fiancé Jordan. Her mother Elaine, sisters: Roxanne, Ruthanne, Wendy and Wanda. Brothers: Roger, Lee, and Danny and 12 nieces and nephews. A memorial gathering will be held on Tuesday April 3, 2018 at Wilson Funeral Home in Gray from 5-8pm. In lieu of flowers, donations can be made to the James Russell Bonney Scholarship Fund, 68 Ramsdell Rd. Gray, ME 04039. We would like to give special thanks to the doctors and supporting staff at New England Cancer Specialists of Scarborough; the nursing staff in the Gibson Pavilion Wing at Maine Medical Center and we would like to extend an extra special thanks to our night nurse Terri at the Gosnell Memorial Hospice House.